Governor of the National Bank of Ukraine Valeria Gontareva went on a long leave, choosing not to wait until her successor is appointed. Meanwhile, the president seems not to be rushing with submitting his candidates for the post for Parliament’s consideration. UNIAN has tried to understand why this process is being delayed, and who might take up the post of the country’s chief banker and when this is likely to happen. 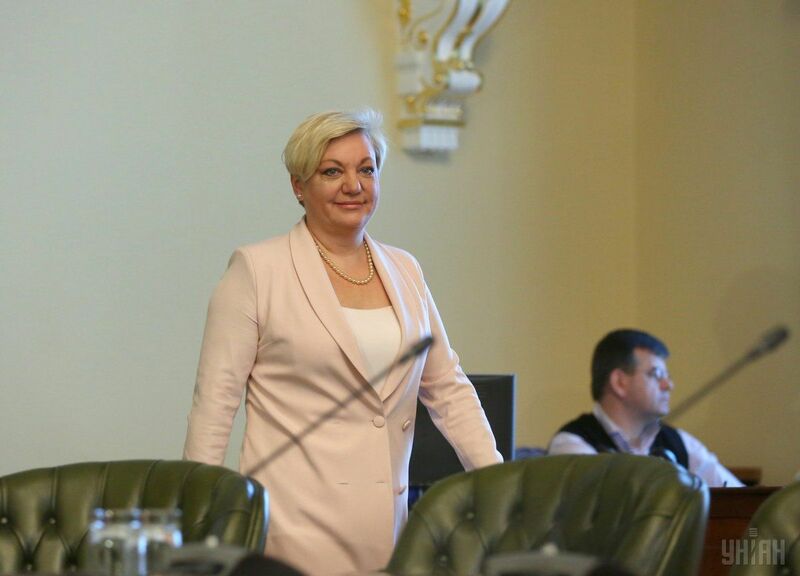 NBU Governor Valeria Gontareva has gone on a long leave, after almost three years in office that witnessed a three-fold devaluation of the hryvnia and the closure of over 90 banks. 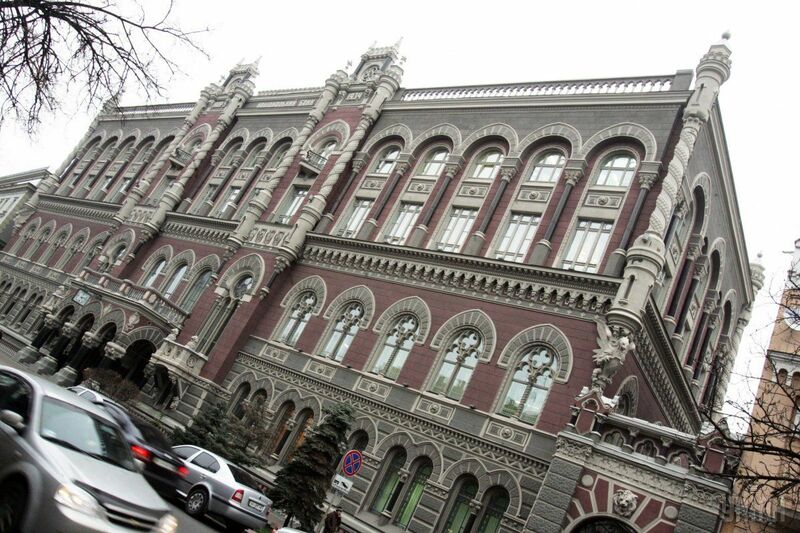 From May 11 until the new NBU chief is appointed, the central bank will be headed by first deputy governor Yakiv Smolii. Rumors of Gontareva’s upcoming resignation have been swirling around since year-start. In March, she confirmed the rumors and in April, Gontareva said she had submitted for the president’s consideration a letter on her resignation from May 10. However, the head of state has not presented to the Verkhovna Rada a new candidate for the post, to be approved by the MPs. At his big press conference on May 14, Poroshenko said that he considers several candidates for the post of Ukraine’s chief banker. However, he did not name either of them, citing to the need to first discuss the issue with the legislators. Why is the head of state dragging with addressing such a serious staffing issue? The Ukrainian parliament has resumed its work after the May holidays but even the pro-president faction held no debates on the candidates for the post of the NBU governor. "[The issue] has not been discussed at our faction meeting, although some deputies have raised this question. We shouldn’t delay the process because the financial market does not tolerate long-term uncertainty,"MP Mykhailo Dovbenko (Poroshenko Bloc) told UNIAN. The deputy did not name the candidates, explaining that it’s a president's decision. However, he noted that the market is already discussing a dozen names, including Head of the Board of Raiffeisen Bank Aval Volodymyr Lavrenchuk, Head of the Board of the Independent Association of Banks of Ukraine Roman Shpek, Head of the nationalized PrivatBank and former Minister of Finance Oleksandr Shlapak, Serhiy Tigipko who has already headed NBU twice, Chair of the Verkhovna Rada Committee on Financial Policy and Banking Serhiy Rybalka, Head of the NBU Council and former Minister of Economy Bohdan Danylyshyn, and Head of the Individual Deposits Guarantee Fund Kosytantyn Vorushylin. The deputy believes that the president will hold the necessary consultations with parliamentarians within seven to ten days, which will be followed by discussion within the coalition and a profile committee, while the appointment may be sealed within two months, until the next parliamentary holidays. According to MP Pavlo Ryzanenko, the delay in appointing Gontareva’s successor is due to the lack of a candidate that would suit both the president and parliament. At the same time, he noted that the incumbent NBU chief had not yet been dismissed. "I think that she [Gontareva] has not yet filed her resignation letter yet. According to the procedure, the acting NBU chief may lead the bank no longer than two months. So, the dismissal will take place when she uses up all her vacation days," said the deputy. At the same time, Ryzanenko does not rule out that the appointment will take more than two months to complete, since the law does not say what shall be done if the new NBU head has not been appointed during this period. People's Deputy Ruslan Demchak reminded that the acting NBU chief is the man who came in to the NBU board before Gontareva, and thus he combines the experience of the current and former teams. In this regard, he considers insignificant the actual risks of the lack of a full-fledged NBU head for the country’s banking system. 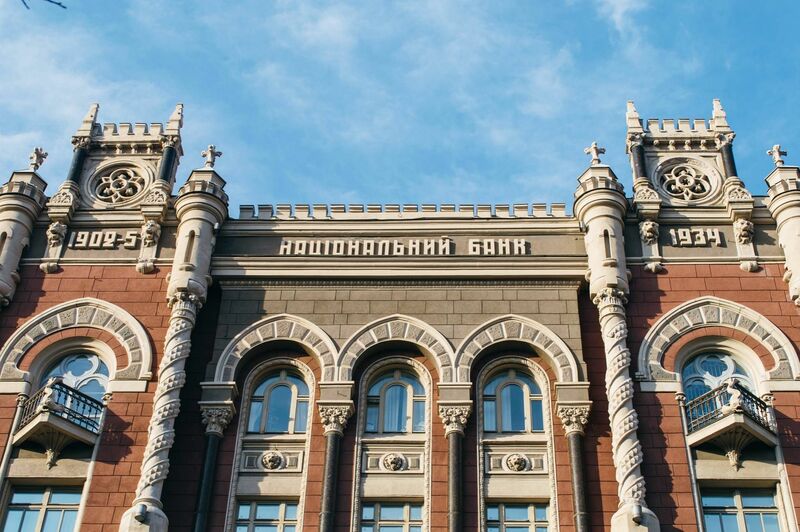 Commenting on the question of whether the delay is linked to the forthcoming possible bankruptcy of a number of smaller banks due to failure to comply with the NBU requirements to increase their authorized capital to UAH 200 million by July 11, Demchak disagreed. "These processes are not interconnected. I think that the president has enough of other things to do. The structure of the National Bank is functioning, regardless of whether Gontareva is here or not. It’s the team that does the job. We’ve adopted legislation securing the NBU’s institutional independence, we formed the supervisory board," he said. As for the candidacy of Volodymyr Lavrenchuk, who many market participants believe is the most suitable person for the post, the deputy opined that any commercial bank CEO could be a good banker, but they could not always make an effective NBU chief. "His competence and experience in the bank do not coincide with the tasks that are laid before the National Bank. This is primarily a [financial] regulator," Demchak said. Meanwhile, the deputies are already expressing concern over the protracted appointment process. On May 16, the profile parliamentary committee appealed to President Poroshenko requesting not to delay the appointment of Gontareva's successor and ensure transparency of the whole process. The committee also recommended that the applicant for the post have a strategy for restoring confidence in the banking system. These observations lead us to a conclusion that the process of appointing a new NBU head may last the whole summer. This was the forecast Finance Minister Oleksandr Danyliuk voiced in his recent interview with Reuters. The minister said Gontareva’s successor would be appointed no earlier than September. Experts hope that the new head of the NBU will be a professional who will continue the regulator’s current policies. "If it is a candidate who will continue to work with international partners, we will follow a path that involves strengthening the protection of creditors' rights, controlling the insider lending, improving the management of state-owned banks and their gradual sale," said ICU financial analyst Mykhailo Demkiv. At the same time, he does not rule out a scenario where the post will be occupied by someone from the camp of productive money issue supporters. Director at Case Ukraine analytical group Dmytro Boyarchuk believes that the appointment of Mr Lavrenchuk will not entail changes in the regulator’s policies and be positively received by Ukraine’s international partners. "I think it's a good choice. People in the banking sector know him. Foreign partners are also positive about this candidate," the expert said, predicting that Lavrenchuk will continue the reform of the banking sector initiated by Gontareva, and no special changes in the regulator’s policies will ensue. In his opinion, the Verkhovna Rada will support this candidacy if it’s submitted by the president. Meanwhile, Ukraine’s international partners, including its foreign investors and creditors, are closely following the appointment process. "The candidacy of a successor submitted to parliament will be a powerful signal for the international community regarding the top leadership’s real rather than declared readiness to not step off the reform path," says Olena Belan, chief economist at Dragon Capital. She stressed that it is very important that a new main banker be a professional who is not subject to political influence. We are yet to see whether an independent and politically unbiased NBU head will suit the president, who some experts believe needs an official he can control, and MPs who for years have failed to adopt legislation the financial market needs and often have their own interest in this market. In any case, the new NBU chief will be appointed before this autumn, a period of traditional seasonal crises in the country’s financial sphere. Taking up responsibility for the next crisis hardly fits into Petro Poroshenko and his political force’s plans as parliamentary elections are just around the corner.